As we turn our calendars to March, the weather starts to warm up after a long winter. Likewise, the real estate market begins to warm up as well at this time of year. 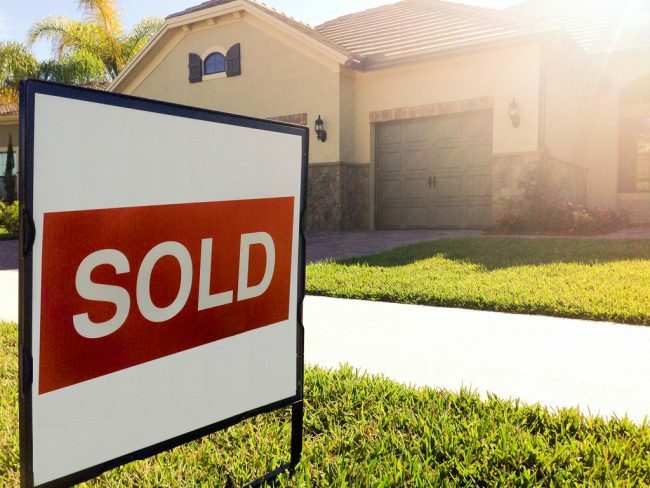 Spring has long been the most popular time to buy a home. While owning a new home is fun, the process to get there can be long and tedious. Furthermore, there’s a lot to do after the purchase is finalized. Taking the time to look at houses, fill out tons of paperwork, and change mailing addresses smoothly is draining for new homeowners. Of course, there is the dreaded task of moving all your belongings as well! If you’ve bought a home before, this likely sounds all too familiar. It’s easy to let home security concerns slip through the cracks in the middle of everything going on. However, this is one of the most important steps to take while relocating. Homes that have just been purchased can be a popular target for burglars. For starters, new homeowners sometimes move in their belongings before they actually begin living there. This means the house often has valuables inside for extended periods of time before the house is occupied full-time. In addition, burglars know new homeowners get overwhelmed in the moving process and security measures are likely not in place yet. Here are some of the very first things we recommend doing upon purchasing a new home so that you minimize your risk. If you carry a keychain that looks like this around the house, getting your locks re-keyed is the simple solution. Re-keying the exterior locks of a new home is one of the most important things new homeowners must do. (Get your home re-keyed for free with this Free Rekey Offer!) For one, you have no idea how many people have the keys to your home. Babysitters, contractors, and neighbors of the previous owners likely have keys to your new house. 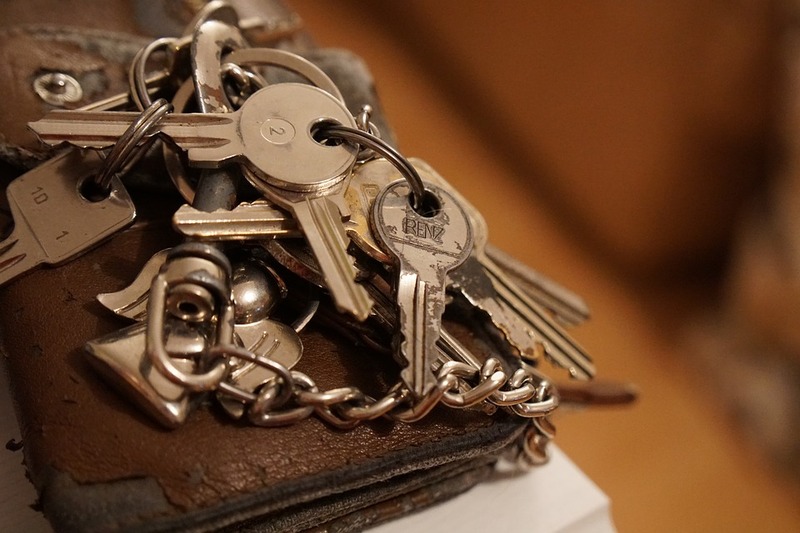 Over the course of several years, the keys have likely been copied and passed out to at least a dozen people. Having your locks re-keyed is an easy way to ensure that none of these people can use their keys to enter your new home. In addition, this process adds convenience and ease to entering the doors of your home. Many new homeowners are handed a full set of keys, with each one opening its own door. Re-keying your locks allows you to trade all of these keys in for one key that unlocks all of your doors, if you so desire. Furthermore, this process will allow you to make other choices with your locks. You can create a master key system to control what rooms people can access within your home. For example, your key may unlock every door in a house, but you can hand a dog sitter a key that unlocks the front door but not any bedroom doors. Now is the time to map out your key system out for both maximum security and convenience. As we’ve pointed out in our post on Smart Security System Design, doors are the most common entry point for a burglar. This makes door security extremely important. First, asses the condition of your doors. Do they open and shut smoothly? Are there appropriate gaskets on exterior doors to ensure you aren’t letting in cold air in winter or warm air in summer? Next, check the security of the doors. Are they made of solid materials? Did the installer use screws that are long enough to reach the framing timbers? Do your exterior doors all have deadbolts with at least a 1″ throw into the door jam? Is the deadbolt a quality one or was it a cheap hardware store special? Quality deadbolts have features their cheaper cousins do not. You can also consider adding a keypad deadbolt for extra convenience. Locks are an important piece of the puzzle when it comes to home security. Now is the time to make sure your locks are maximized for safety and convenience — not after you’ve had a break-in. When making these decisions, also consider adding additional security through key control. A key-control system, such as the Medeco systems that we use, ensures that unauthorized people cannot copy your key. Now if you give a key to a babysitter or contractor, you know that it will not be copied and used later on. Large bushes and trees surrounding a house can provide cover for potential burglars. Certain landscaping and yard features can make a home an attractive target for a burglar. High shrubbery beneath windows, for example, provides potential intruders a convenient place to hide while they scope out your home. Exterior bushes should be trimmed well below window height. Also consider planting thorn-bearing plants in your garden. In particular, burglars prefer being able to scope out and break into a home without being seen. A news station out of Idaho recently interviewed 86 convicted burglars. One of the main things the burglars looked for was “blind spots” where they could work unseen. Unsurprisingly, the burglars recommend keeping shrubs low and the entire property visible as ways to ward off a burglary attempt. A monitored home security system protects your belongings and, more importantly, you and your family. The system can be armed when you’re away to call the police if a burglary is attempted. The system can also be armed when your home to alert you if anyone tries to enter your home unexpectedly. It’ll even ensure the police are called automatically when appropriate. Your new home will immediately feel safer and become less vulnerable to a break-in. Furthermore, you can add protection above and beyond burglary sensors. Adding monitored fire protection will help protect your investment from fire and smoke damage. More importantly, it can save your life in the event of a carbon monoxide or fire emergency. Also consider adding environmental protection, such as water and low temperature sensors. As an added bonus, you will likely receive a discount on your homeowners’ insurance with the installation of a monitored alarm system. New homeowners usually relish any cost saving measures when faced with the many expenses a new home brings. Many insurance carriers give discounts of varying amounts based on the level of protection installed. Be sure to ask them what measures you can take to maximize this discount. An interactive cellular dialer, such as Alarm.com, can provide an immediate notification when an environmental sensor is activated. While a security system’s main function is protecting the people and valuables within a home, today’s security systems can do so much more. Our post 7 Important Security System Add-Ons for Your Home details many of these specific features. Using a security system with interactive features, such as the systems we recommend powered by Alarm.com, adds both safety and convenience to your new home. Interactive features give you a constant, direct connection to your security system. This allows you to arm and disarm your security system with your smart phone and receive alerts if anything goes wrong. Many security system options become even more powerful when connected to a smart home hub. 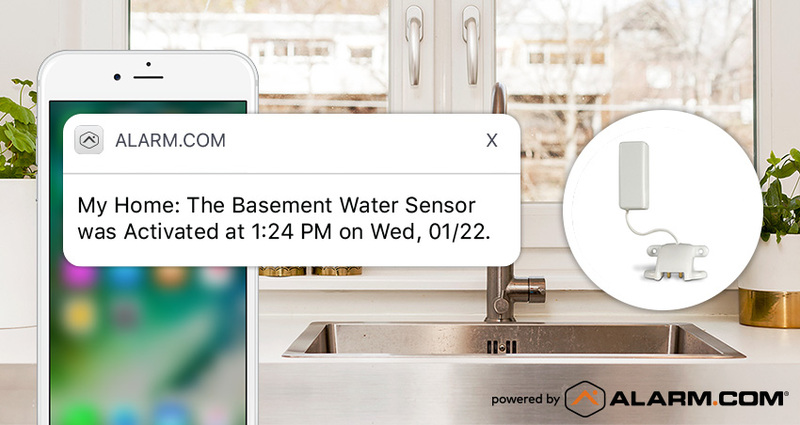 In addition to receiving a phone call about an environmental sensor that you may miss, for example, you can now receive an alert with the exact details and time of a sensor alert. Burglars often cite a well-lit porch or yard as a deterrent to snooping around a house. Likewise, interior lights that make the home look occupied can make your house a less attractive target for a potential thief. As we mentioned before, a fully visible house is much harder to break into without detection. As well as smart landscaping, lighting is a big part of that equation. When used in conjunction with smart home interactive features, smart lighting becomes both easier and more powerful. With these features, you can set a timer for your lights so they come on before it gets dark or right before you get home. You can also control your lights in real time, which allows you to save electricity. If, for example, you left some lights on because it was dark when you left the house, you can turn them off once it becomes light outside. Cameras add yet another layer of both security and peace of mind for new homeowners. They also prove invaluable in helping to capture thieves and vandals. Better yet, they can help you catch potential thieves who are scoping out your home before they do any damage. You can watch your cameras live at any time to ensure the house is safe. Furthermore, a professionally installed camera system also utilizes a recorder that captures video 24/7 and allows you to review any events that you missed (read more about DIY Camera Systems vs Professional Surveillance Cameras for more information). Now if you go on vacation and find something amiss, you can see exactly what happened and when. If you’ve just bought a house, home security should be at the top of your priority list. Hopefully this post gives you some specific ideas you can use. If you have any questions about any of the topics in this post or home security in general, please do not hesitate to contact us. We will provide a free security audit for nay new homeowners to address any security concerns. We will also make some recommendations of our own if necessary. Together we can create a full home security plan that makes you feel safe and secure in your new home.